As we go through our everyday lives we often find ourselves thinking negative thoughts like these. Honestly I could endlessly list the hurtful things I’ve said to myself, the things I’ve heard people close to me say, and even the things I’ve heard my clients say. It’s heartbreaking how mean our inner voice can be and how detrimental that negativity can be on our self-image and overall well-being. But we would never in a million years say these things to anyone we love and care about. 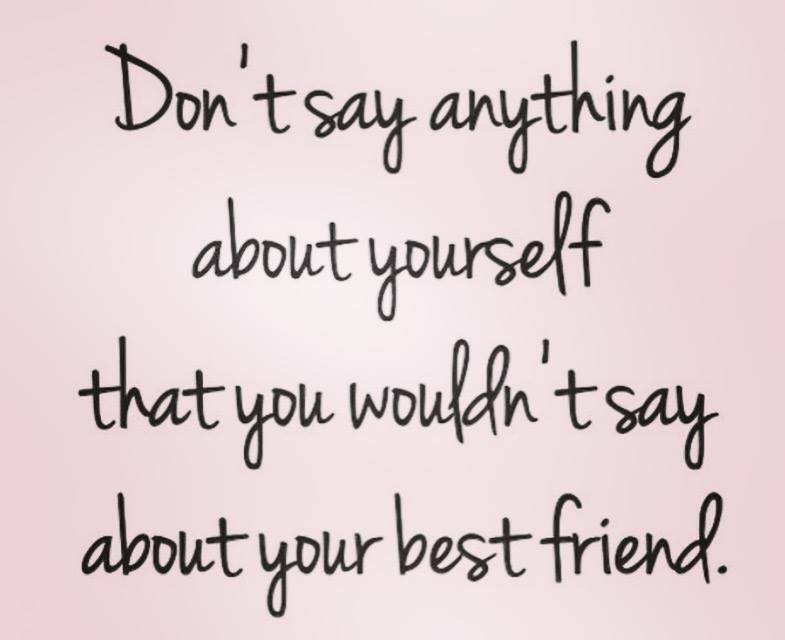 Before you catch yourself dwelling in negativity ask yourself this; “Would I say this to my best friend, my child, or someone I love?” If the answer is no then you shouldn’t be saying it to yourself. You don’t have to fully love yourself to begin speaking in a more respectful way. In fact taking this first step toward self-love is a great start! If you catch yourself thinking something negative try to match it with something you enjoy about yourself. If you have a hard time finding something good to say, take a step outside yourself and try to see yourself as your friends and family see you. They see a strong, self-sufficient, compassionate person, that’s you! This is also a great tool to teach our kids. We all know that kids can be blunt and cruel. The best thing we, as parents, can do for them is teach them to love themselves. Other people in the world may drown us in negativity but we can fight back with strong confident self-love. Let’s plant the seeds of self care, self love, and self acceptance. When you honor yourself first, everyone in your life benefits. If you are ready to embark on the journey of self love join my 5 Day Self Care Challenge! To join sign up here.